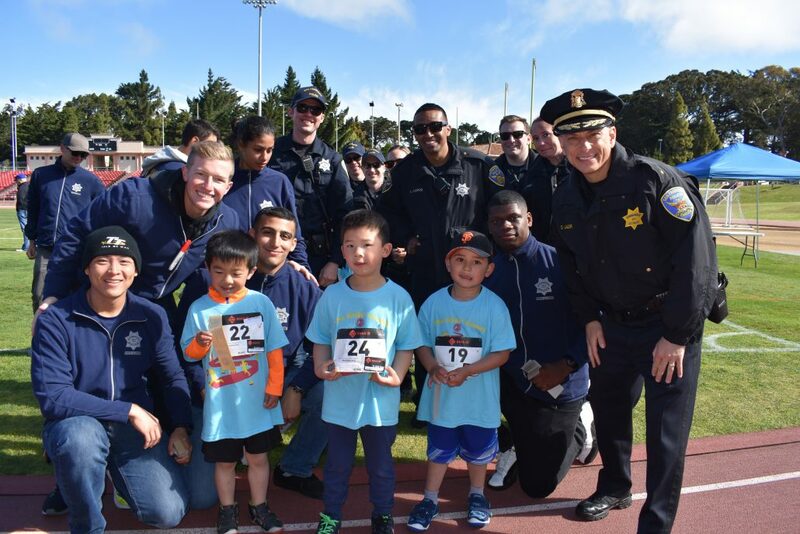 Our 3rd Annual Kids’ Games event at Kezar Stadium held in partnership with San Francisco’s Recreation and Park Department and the San Francisco Police Department on May 6th 2018 was another successful event. Hundreds of kids competed in the 50 and 100 meter dashes and had a blast on this windy but sunny Sunday. We are grateful for all of our sponsors who have helped us make this another successful event for our San Francisco youth. For pictures of the event, please click here.